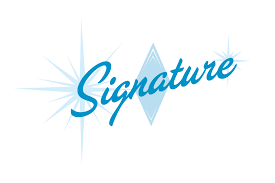 The franchise offered in this disclosure document is for the right to operate a Signature Inn-branded hotel. Red Lion Hotels Franchising, Inc. is a corporation formed in the state of Washington on December 24, 1986, as Vance Hotels, Inc. On September 19, 2005, they changed their name to Red Lion Hotels Franchising, Inc. Their principal business address is 1550 Market Street, Suite 350, Denver, Colorado 80202. The total investment necessary to convert an existing hotel into a 40-room Signature Inn is $170,000 to $1,269,000 and the total investment necessary for a newly-constructed 50-room Signature Inn is $2,964,500 to $6,044,000, excluding the cost of purchasing or leasing land or any real estate taxes. These amounts include $20,000 to $26,000 that must be paid to the franchisor.